Our Minnesota plumber continuing education course is approved by the Minnesota Department of Labor & Industry to help satisfy your CE requirements (Provider ID # S1672153). We are proud to offer the first online continuing education class approved by the Minnesota DLI for plumbers. Our course can be completed At Your Pace Online to help you meet the state's requirements to maintain your license. Once you finish your class, you will have an official certificate of completion to save for your records, and we will report your course completion to the state for you. The MN DLI requires plumbers to obtain 16 hours of continuing education before license renewal. Master Plumbers, Restricted Master Plumbers, Journeyman Plumbers and Restricted Journeyman Plumbers need 12 hours of Code/Law Credit and 4 hours if Other Related credit. Currently only 4 of the 16 hours can be taken online. Journeyman & Restricted Journeyman Plumbers must complete their CE and renew by December 31st of odd-numbered years. Master & Restricted Master Plumbers must complete their CE and renew by December 31st of even-numbered years. This course provides 4 hours of approved elective continuing for Minnesota Plumbers, including 2 hours of OSHA Safety Training and a 2-hour training on water heaters. 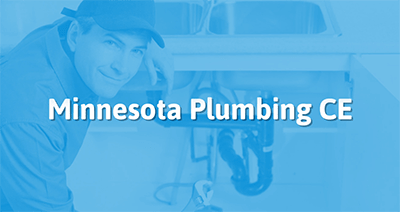 This course provides 4 hours of approved continuing education on the Minnesota Amendments to the 2012 UPC when adopting it as the base code for the 2015 Minnesota Plumbing Code (MPC). 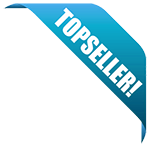 It comprises 4 of the 12 hours of required content on the 2015 MPC. Your application for continuing education entitled MINNESOTA 4 HOUR INDUSTRY RELATED COURSE has been approved with a course program id number 20180502 and approved until October 25, 2021. This course is approved for Plumbing. Your application for continuing education entitled MINNESOTA 4 HOUR 2015 MPC STATE AMENDMENTS COURSE has been approved with a course program id number 20180501 and approved until October 25, 2021.